Design and fabrication and installation of custom interior work from restructuring a space enlarging small rooms into larger spaces to remodeling kitchens and home offices. Custom interior trim and casing work based on careful listening to the visions the customer has in mind as close as possible offering suggestions that possibly the customer may not aware of to enhance their ideas. 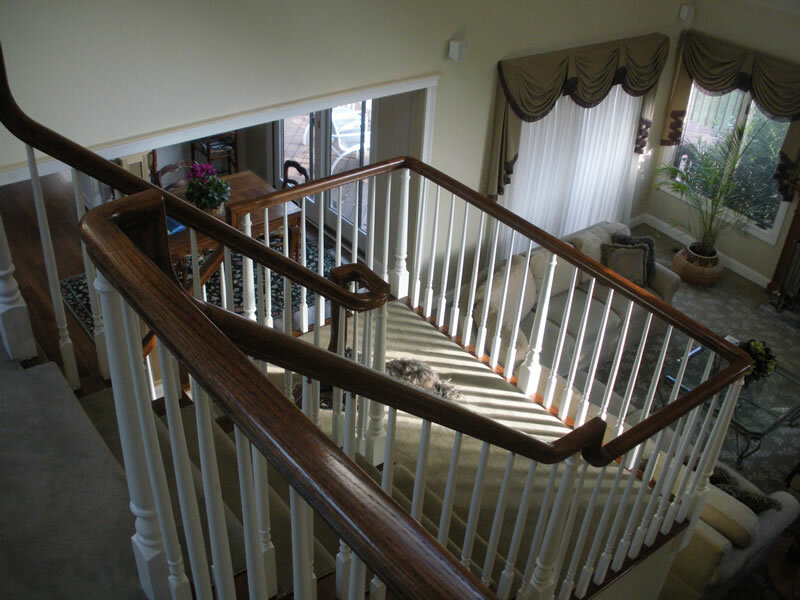 Rebuilding or redesigning existing stairways to match newly installed hardwood floors, to change the basic appearance of existing stairways with new railings and balusters or to repair damaged or deteriorating stairways. Repair of homes that have suffered the consequences of the elements of time, weather or improper construction in the past for general home improvement. I operate a world class cad system called Chief Architect X-6 which I can use to provide you with drawings and material lists and possibly the most important feature is three dimensional photographic renderings of very much exactly what your potential project would look like when it is finished. I will work with architects in this discipline to aid them with real visualization that many auto cad systems don’t provide. I will include a special page with one particular project where this was done. I will also work with do-it-your-selfers, offering guidance with permits and sharing the many years of experience I can offer to make your project progress smoothly.